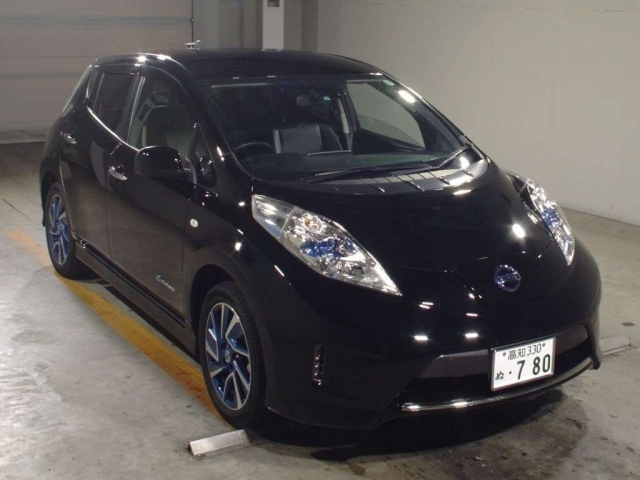 This 2016 Nissan Leaf Autech X Aero Style with 13,747 km was sold at TAA Shikoku on 09 January 2018 for 1,474,000 YEN FOB. This should be used as a guide as prices naturally vary over time depending on condition, kms, specification level, supply, demand, exchange rates and other factors. Total price in Australia would have been approx. 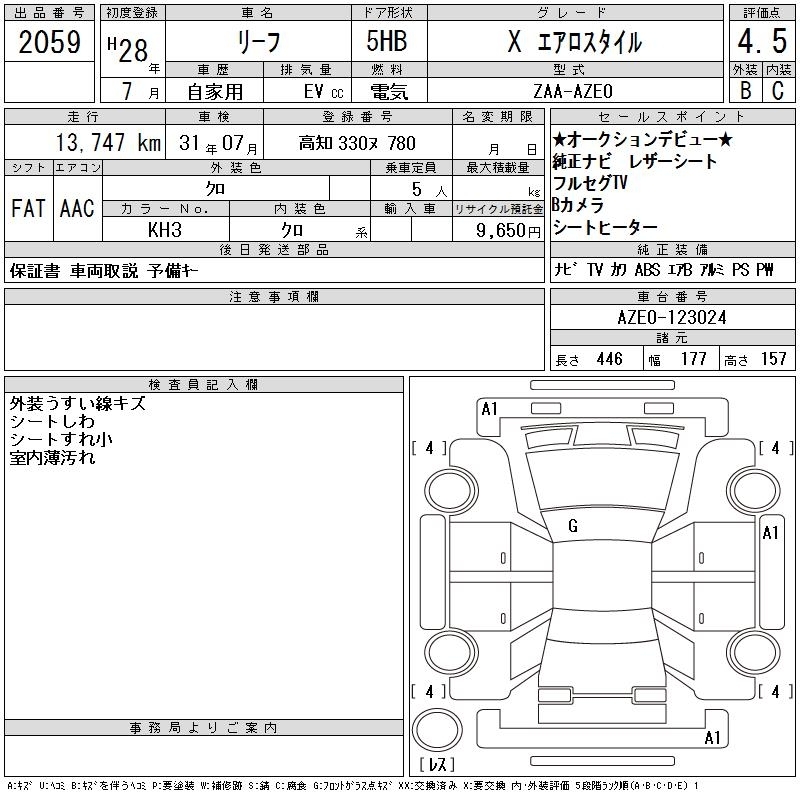 $25,500 complied plus tyres and ORC's (calculated at a rate of 82.4 Yen to the dollar. Please note that this vehicle is an EXAMPLE only and is not available for sale. 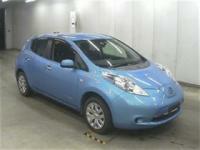 It is intended to provide a good indication of prices at the date listed. 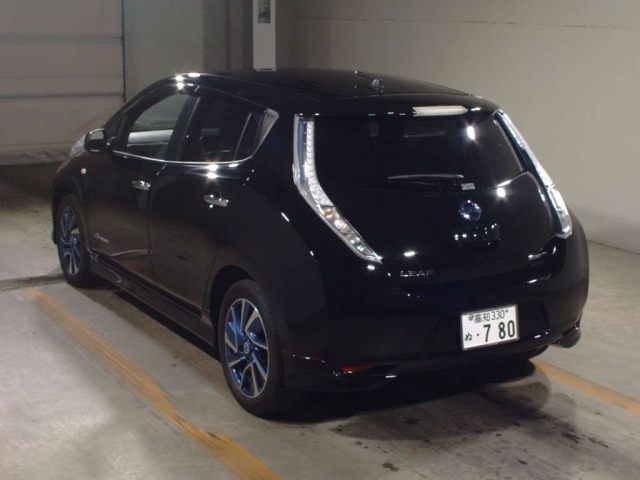 We can source for import another 2016 Nissan Leaf Autech X Aero Style - simply contact us to discuss the specific vehicle you are looking for and current pricing. To see what's available and research prices you can browse past and upcoming Japanese auction vehicles of any model and add yourself to our free email auction alerts trial.